Just 47% of Facebook Users Get News From the Social Network - trendistic.com: ever tried. ever failed. no matter. try again. fail again. fail better. 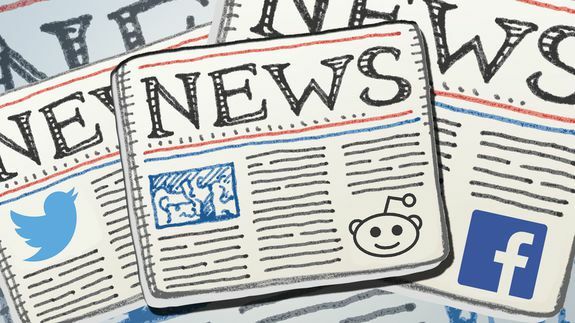 The most popular social network for getting for news is Reddit, where 62% of users say they get news. The least popular source is Pinterest, where just 3% of users say they get news. 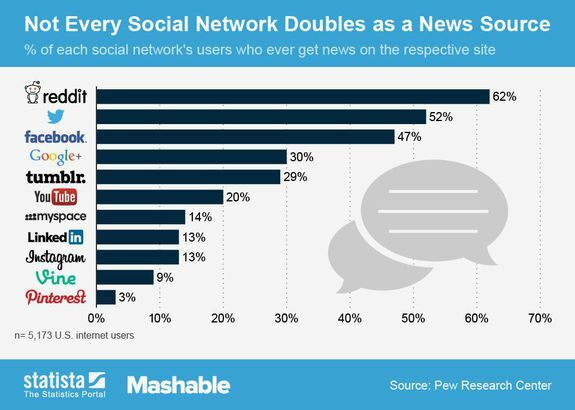 Statista‘s chart below shows the percentage of users of 11 major social networks who report getting news from the respective platforms.